Radstadt and drive along the street to Obertauern. On the way around Radstadt you are passing a “BP” petrol station. 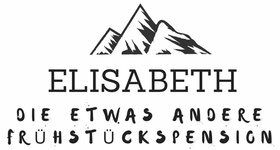 Behind the petrol station go left (traffic circle) to the direction “Forstau” and after 3 km you will reach directly the “Gästehaus Elisabeth” (next to Hotel Seitenalm). Several shuttle services ensure a quick and direct onward trip to your final destination in the surrounding recreational areas for your winter or summer holidays. Short walking distances at the airport, friendly and professional handling at check-in and a good infrastructure offering restaurants, shops, car rental etc. guarantee a pleasant and comfortable journey.